Mike Birbiglia, 'Sleepwalk'-ing On The Big Screen The comedian co-wrote a film with Ira Glass, of public radio's This American Life, about his life and sleepwalking disorder. But making Sleepwalk With Me, based on Birbiglia's one-man show and comedic memoir, caused Birbiglia anxiety — which exacerbated his disorder. In Sleepwalk With Me, Mike Birbiglia, who plays a character based on himself, plays opposite Lauren Ambrose, who is his girlfriend. 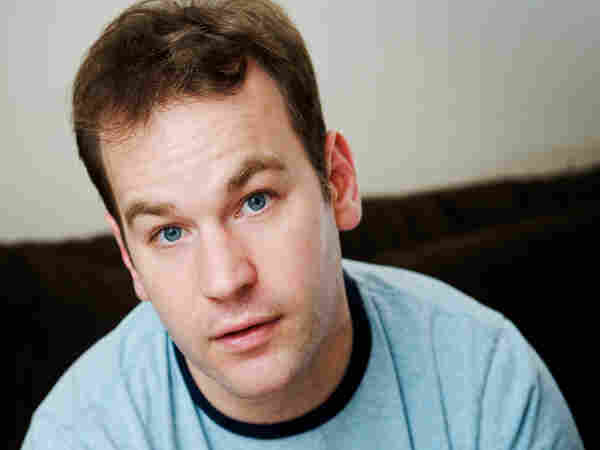 When comedian Mike Birbiglia opened his one-man show Sleepwalk With Me in 2008 at the Bleecker Street Theatre in New York, he didn't anticipate that it would become material for a popular piece on This American Life and a New York Times best-seller. He especially didn't think it would turn into a feature film. Birbigilia had never made a film before. And he was initially hesitant to make one about his dangerous sleepwalking condition, because he wanted to distance himself from the topic he had been immersed in for more than four years. 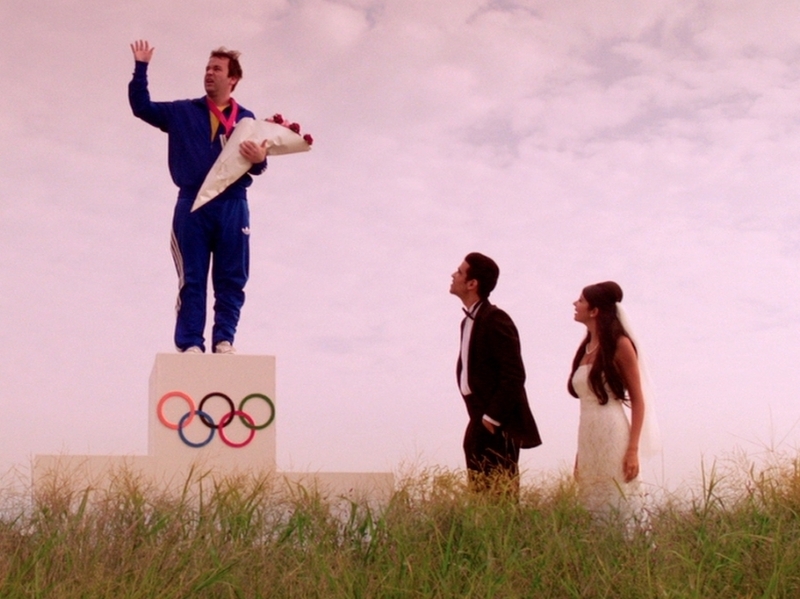 Scenes in the movie Sleepwalk With Me -- about Mike Birbiglia's sleep disorder — made him emotional while filming them. The film, also called Sleepwalk With Me, is co-written and produced by This American Life host and creator Ira Glass. It revisits Birbiglia's account of his troubled relationship with an ex-girlfriend, his experiences as an aspiring comedian and his denial over his REM behavior disorder. Birbiglia now takes medication for the disorder. But, as he tells Fresh Air's Terry Gross, his anxieties about making the film infiltrated his dreams. "My brain would not shut off when I would go to sleep," Birbiglia says. "So I would have dreams that I was directing myself in a scene in my bedroom, and that the cameras were rolling, and my wife wouldn't be asleep yet ... and she would walk into the bedroom and I would be adjusting lights, and my wife would be like, 'What are you doing?' and I'd say, 'We're shooting,' and she'd say, 'Um, Mike, we're not shooting.' And I'd say, 'I'm sorry, but we are,' and the way I would say it was actually sort of patronizing, like she didn't get it." While making the film, Glass says he was surprised at how immersed Birbiglia became in the realities of what they were filming, despite the fact that he was playing a fictional version of himself. Birbiglia re-enacts a scene where he sleepwalks, jumps through a hotel window and has to get 33 stitches in his leg. "It hadn't occurred to me that it would be emotional for [Mike] to do that," Glass says. "I remember it wasn't until we started shooting the scene that I thought, 'Oh right, this is utterly real.' "
Birbiglia was a finalist for the 2011 Thurber Prize for American Humor for the novel Sleepwalk With Me & Other Painfully True Stories, and he's a frequent contributor to This American Life. Sleepwalk With Me premiered at the Sundance Film Festival earlier this year. Comedian Mike Birbiglia co-wrote the script for the new film about himself: Sleepwalk With Me. "We wanted the dreams to feel almost like you don't necessarily know they're dreams until a certain moment. There's a certain moment where it clicks in, because my dreams in real life are so convincing that I'm utterly convinced that they're happening, which of course is why it makes sense that I act them out." Birbiglia: "It's not the easiest thing. ... I think your tendency when you play yourself is to accentuate something about you that you think is the funny thing about you. "I listened to this interview once with Jerry Seinfeld that really influenced my comedy and all of my writing, which is that when you're starting out in comedy, it's the audience that tells you what's funny about you. And you need to listen to that and make a note of that. And I think I developed that doing standup for 13 years, and so that was the hard part of developing my persona. "But then doing it on film, all I would really have to do — and a lot of this was with the help of Seth Barrish, who co-directed the film and directed my one-man plays — is just relax into it and do less, do less." 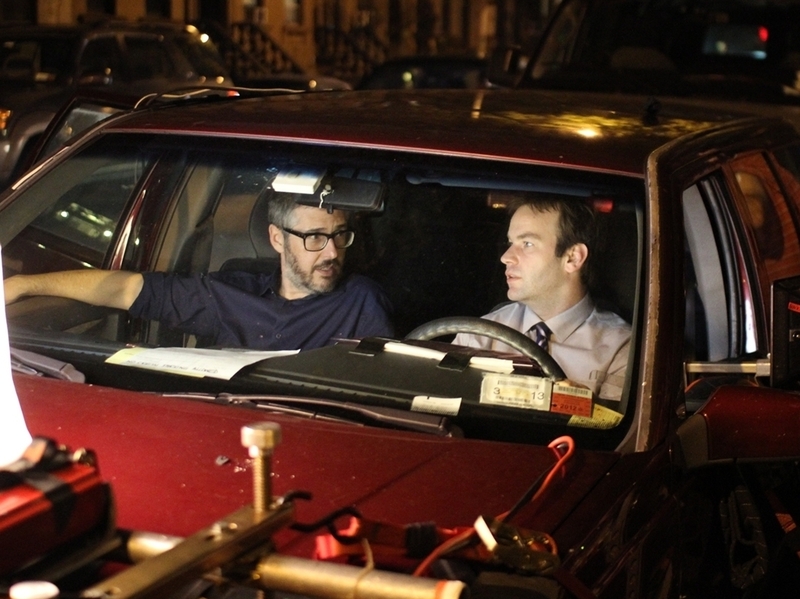 Ira Glass (left) and Mike Birbiglia collaborate on the set. Ira Glass: "I think they're cheap. I think it's a cheap move. Even in The Sopranos, when they did that extended long dream sequence, I just feel like it's a cheap move. Even on shows I like — Buffy the Vampire Slayer, The Sopranos — it never, ever works for me. I feel like you're trying to show us the character's feelings through means that you should just do in scenes that are happening in reality. A TV drama is already a made-up world, and then you have to create a made-up world within the made-up world, I just feel like they always feel obvious. And I hate symbolism." "Ira and I actually talk about this a lot when we're out to dinner or hanging out – there's something about being in an argument and ending the argument with, 'Well, the point is, we're gonna be together for the rest of our lives.' That's a real argument ender in a certain way, I think in a really healthy way. We're gonna make this work no matter what."